Always dreamed to go for holidays in Athens and then hop to the Greek islands, but you do not have the time or knowledge to take care of all the details? 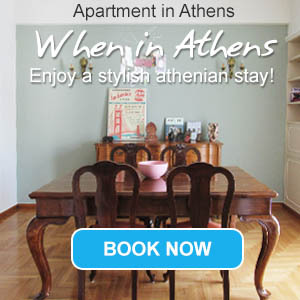 Greeka.com can help you to set up the best Greek island hopping packages from Athens. In fact, the Greek capital is a very convenient place to start your holidays as it has three main ports (Piraeus, Rafina, Lavrion) and a large airport that offers transport to the islands. The ferry and air schedules to the most popular islands are daily and frequent in summer. Below is our list with island hopping packages that depart from Athens. These packages are individual, not group, vacations. The most popular packages include the islands of Santorini, Mykonos, Paros, Naxos and Crete, which are actually among the most popular Greek destinations. These holiday packages include accommodation in lovely hotels, transportation and transfers from/to the ports/airports. Organize your holidays with us and you will not have to worry about anything. As we cooperate with many hotels and transfer companies, we always get the best offers and deals for our clients. Discover our 3 Days/ 2 Nights individual Island Hopping Tour on the island of Paros (Cyclades), starting from Athens. Visit the island of windsurfing, the amazing beaches and fun nightlife. Visit Mykonos (Cyclades), the most vibrant Greek island, with our 3 Days/ 2 Nights individual Island Hopping tour, starting from Athens. Mykonos, the second most popular Greek destination, is famous for its traditional architecture, the gorgeous beaches and the fun nightlife. Discover our 5 Days/ 4 Nights individual Island Hopping package on the island of Paros (Cyclades), starting from Athens. Just send us your request and we make sure you enjoy the best holidays in Greece. Check our 5 Days/ 4 Nights individual Island Hopping tour on the island of Mykonos (Cyclades), starting from Athens. Visit the most famous sights of Athens and then hop to the coolest island in Greece. Visit Naxos (Cyclades) with our 5 Days/ 4 Nights individual Island Hopping tour, starting from Athens. Naxos is an amazing island in the centre of the Aegean, still untouched by mass tourism. Check our 7 Days/ 6 Nights individual Island Hopping package on the amazing islands of Mykonos and Paros (Cyclades), starting from Athens. Both islands are famous for their endless nightlife and the picturesque locations. Spend a week in this island hopping tour in two Greek islands that are ideal for relaxing holidays, Milos and Sifnos, in the Western Cyclades.